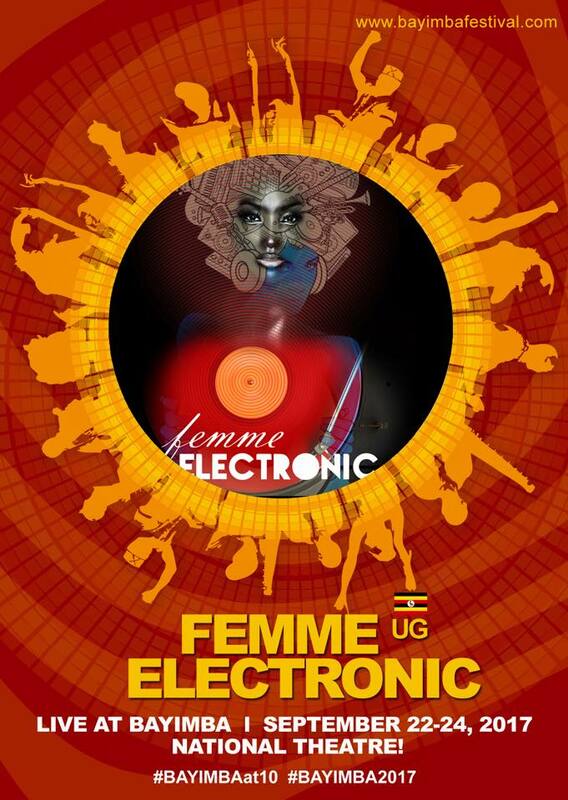 We are honored to share the information that Femme Electronic will be DJ’ing at the Silent Disco on Saturday 23rd Sept and Sunday 24th Sep at the open floor at the National Theatre at Bayimba Festival 2017. Our amazing women DJ’s will share the stage with a number of local DJ’s. Come share the experience with the talented collective combined this time with DJ Rachael, DJ’s Malkia and Fluid from Nairobi of Femme Electronic Kenya and those from Uganda, in collaboration with UgMix Maestro. The Silent disco opens at 8pm to 11.30pm Sat and Sunday. The bar will be operated by Uganda Waragi at half price on this floor.